Prom Night:1959 at Ruta Maya, April 5th! 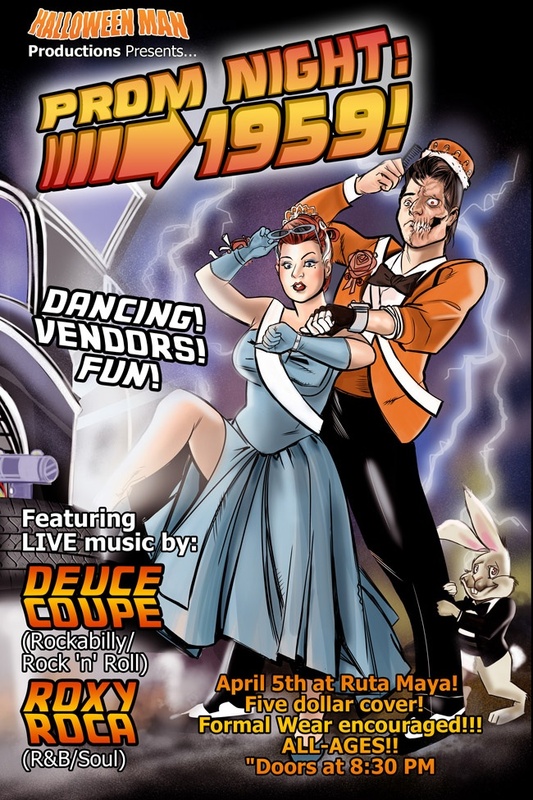 Dance the night away with Deuce Coupe and Roxy Roca… and who knows… Maybe you’ll finally get your rightful prom queen crown. Dust off that prom gown and be there! Doors open at 8:30pm. $5 cover for all ages!